Product #171 | SKU 1170-000-150 | 4.0 (based on 1 rating) Thanks for your rating! The Pelican 1170 Case with Foam (Black) is designed to carry a portable electronic device that requires protection form shock. 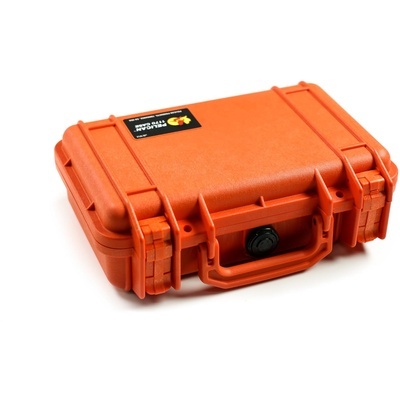 It is a watertight, crushproof, and dust proof ultra-high impact copolymer case with a strong and lightweight open cell core with solid wall design. The interior has 1 base layer, a Pick N Pluck foam layer and a convoluted foam lid. It has easy open double throw latches, an automatic pressure equalization valve, an o-ring seal and stainless steel hardware. The case is carried by an oversized folding handle.